The Snowshoe Foundation invites individuals, families, and businesses to purchase one of our beautiful, hand-selected trees to celebrate the season. Each tree includes an accompanying inscribed plaque with your holiday greeting or tribute. A limited number of trees with beautiful plaques will be available to purchase beginning on September 1, 2018. 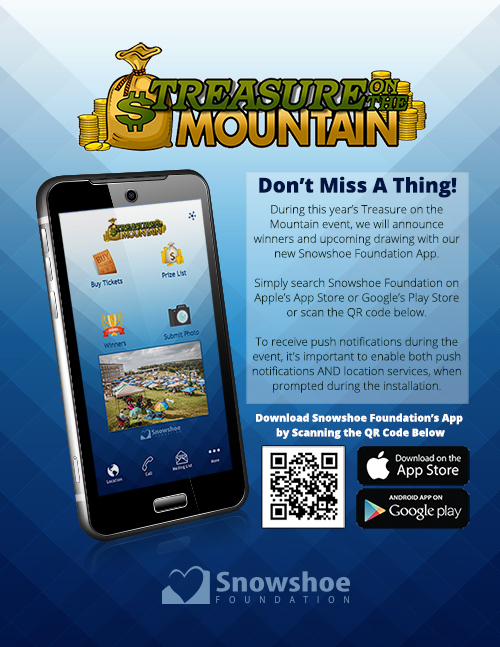 Trees will be displayed in the Snowshoe Village with their accompanying plaque and lights. They will remain lit during the holiday season for approximately 5-6 weeks. Many local families can use a helping hand, especially during the holiday season. A toy can bring joy and hope to the life of a child. 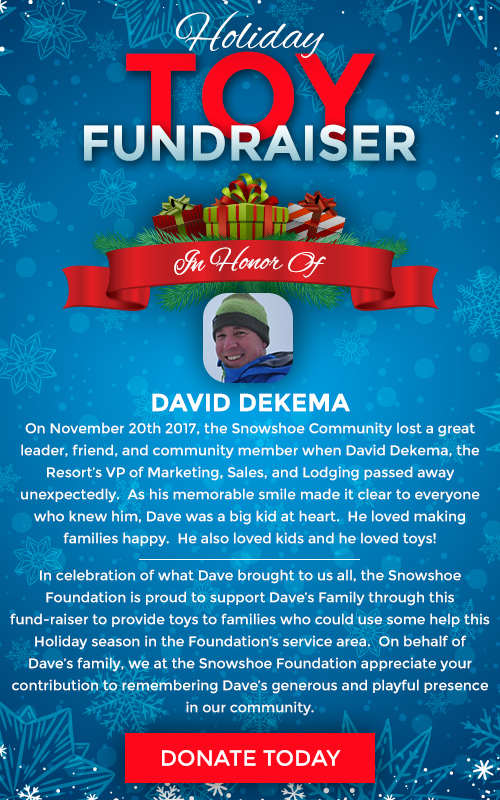 The Snowshoe Foundation invites individuals and businesses to donate to our annual Holiday Toy Drive, which honors the life of a great leader, our dear friend and community member, David Dekema. Direct donations for our 2018 Holiday Toy Drive will be accepted throughout the year. We welcome your participation. We humbly thank you for your decision to donate holiday joy to local children during this year's season of lights.